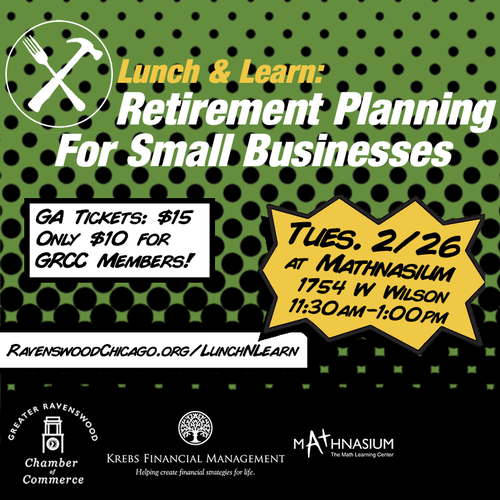 Presented by Krebs Financial Management, this Lunch & Learn offers attendees the chance to learn more about retirement plans. Whether you are a solo business owner or have an office full of employees, there is a retirement plan that can work for you and your staff. Come to lunch and learn the difference between a SEP, SIMPLE-IRA, Solo-401(k) and Safe Harbor 401(k) and a perfect match for your business. Lunch will be provided! Join us for a fun learning event!